We’d love your help. 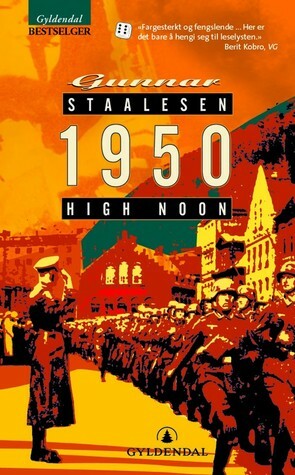 Let us know what’s wrong with this preview of 1950, High Noon by Gunnar Staalesen. To ask other readers questions about 1950, High Noon, please sign up. I read this second book in the Bergen trilogy, in Danish, about a year after reading the first, but didn't have significant problems finding the flow again. To the extent there were characters I couldn't immediately place, it didn't matter. I loved it, the story line, the way it's intertwined with the events on the 20th century, and the fact that it's set in Norway which is almost home for me. I immediately started the third and last book.